Hidden away in the Acacia Forests bordering the Hwange National Park, this unique lodge has a complete atmosphere of its own. Unlike other 'traditional' Safari camps, Camelthorn Lodge has moved away from the Safari tents and wooden decks that have almost become the norm and brought the feel of a Spanish villa to the African bush. Placed right on the border of Hwange National Park's south eastern section - this is a beautiful piece of Africa. The lodge is nestled in under one of the few untouched Camelthorn Acacia forests left in this area. Only a couple of minutes’ drive into the park is the famous Ngamo Plains of Hwange, amazing open savanna dotted with acacia woodland. This area is well known for its huge elephant populations, especially in the dry season. Along with buffalo, wildebeest, impala, zebra, giraffe and many more species this area teams with game. These large concentrations of game also bring in the predators and resident lion, cheetah and painted dog are often seen. During the rainy season the plains transform into an enormous shallow lake bringing with it an abundance of birdlife. Camelthorn lodge itself has its own unique feel, eight spacious villas take in the feel of the forest. Each beautifully finished with their own en-suite bathrooms. Being cool in the summer months and warm in the winter, these rooms are very comfortable. The main area is also very nicely finished with the dining area having large glass sliding doors that can be closed in the winter to keep out the biting cold of the night air. The focus, however, is an ancient Camelthorn Acacia in the centre of the lodge, after which the lodge was named. 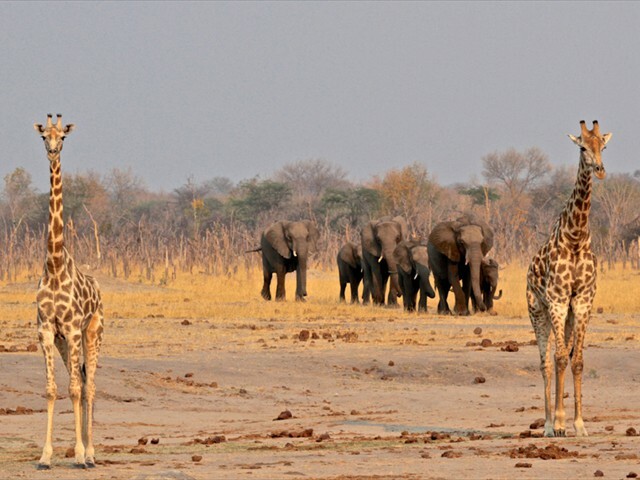 Camelthorn Lodge offer a wide range of activities, including game-drives, game walks and night drives each with top quality professional guides that know the area well. Some of the more unique activities include the 'Village Visit', allowing overseas guests a great insight into the lives of the local population and the contribution that Camelthorn makes to the nearby villages. Another activity is the 'pump run'. This is a full day activity, where you will visit all the water pumps in the area that Camelthorn service, join in and help deliver fuel to these diesel pumps and do your bit for the conservation of Hwange’s wildlife. Then there is Stoffies hide - a container sunk into the ground in front of a very active waterhole. 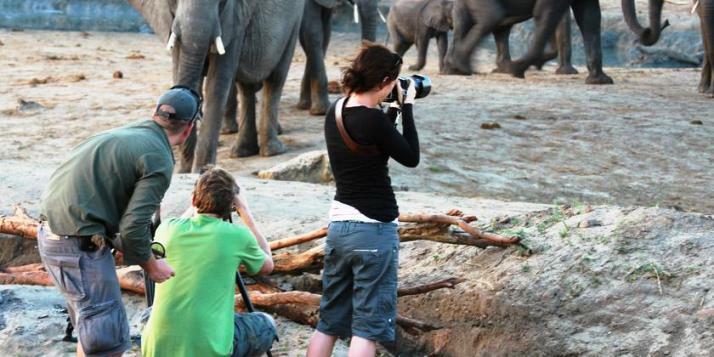 This outstanding experience offers toe level viewing of massive elephants only a few meters away. These horse safaris have provided jobs for some members of the local community, and through the cultural ride, guests actively contribute further to the betterment of the local villages. 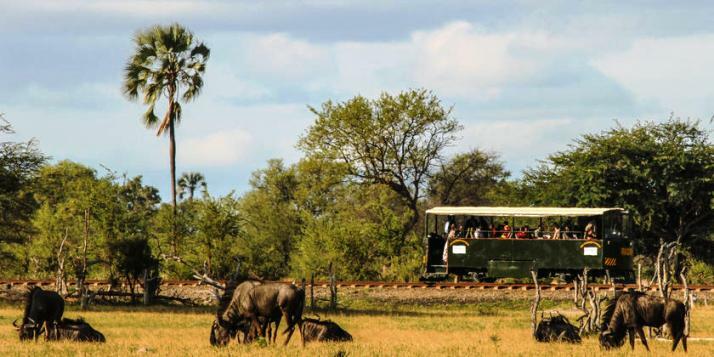 As Camelthorn is remote, more than 5 hours’ drive from Victoria falls, guests are encouraged to fly in or out by private charter to the nearby airstrip and then transfer at least one way on the unique Elephant Express railcar, which is a must do experience and a safari all in itself. Being part of Imvelo safaris, Camelthorn is great when paired with her sister camps in Hwange, Victoria Falls and Zambezi National Park. The unusual stone architecture of the villas at Camelthorn makes it one of those lodges that you will either love or hate. Spectacular game viewing opportunities are almost guaranteed on the concession that this camp sits adjacent too and its remoteness, away from the maddening crowd, is what particularly appeals to us. Ensuring an authentic and exclusive safari experience for our clients, which cannot be over emphasized enough. Unforgettable activities such as the hide sit at Stoffies pan will leave you feeling high with pleasure. 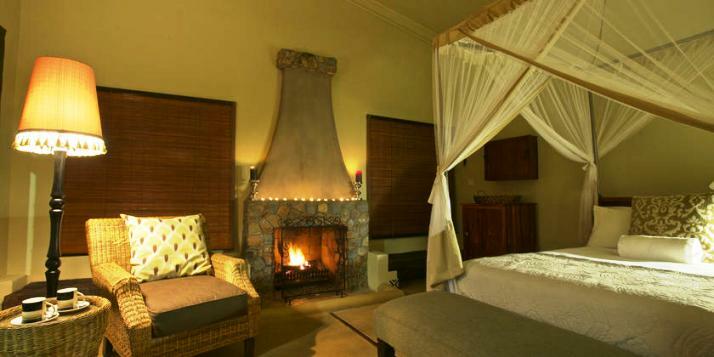 During the rainy season, this south eastern section of the park is the best area to go and during the cold winter months the cosy fireplaces in each room certainly add to this camps appeal. Our only disappointment would be that Camelthorn does not overlook a waterhole teaming with wildlife as many other camps do but the upside of this is that the surrounding vegetation has not been decimated by elephants and therefore it stands in a lush grove of acacia trees buzzing with birdlife. As with all Imvelo safari camps, we have no hesitation in recommending the guides or the service, it’s personalised and in the top range. 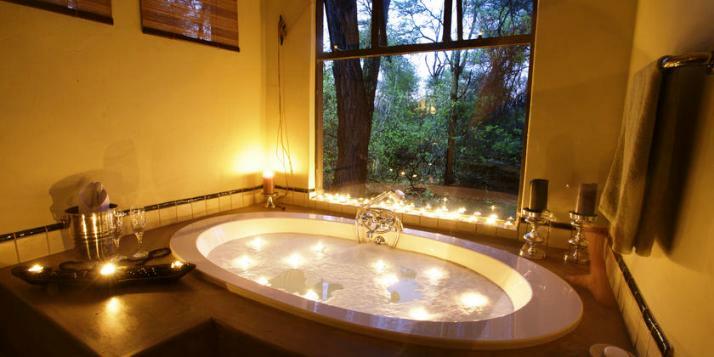 Suitable for first time or seasoned safari goers looking for a bit of luxury and a quality game viewing adventure. Camelthorn's active involvement in community projects is also appealing to many people. • Up to 2 children can share lodging with an adult. • Children under 12 years of age pay 50% of the rate and must travel with an adult and may share a room with an adult. • Children under 7 are allowed only by special arrangement and must sign an agreement. • You can take a 1 hour small plane charter from Victoria Falls Airport or Bulawayo Airport to Camelthorn's private airstrip. The cost of the road transfer from the airstrip is included in the rates. 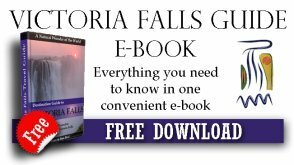 • A 4-hour road transfer from either Victoria Falls or Bulawayo. • After a road transfer into Hwange (approx. 2 hours from Victoria Falls), you can take the 2.5-hour Elephant Express rail transfer which departs from Dete Siding to Ngamo. A game vehicle will pick you up from there to Camelthorn Lodge.